Developed exclusively for Hammacher Schlemmer, this sleep mask has built-in Bluetooth speakers that cancel noise, play music, or lull you to sleep with pre-loaded sounds. Similar to noise-cancelling headphones, the mask’s earcups sense disruptive low-frequency noise and generate sounds to counter it. 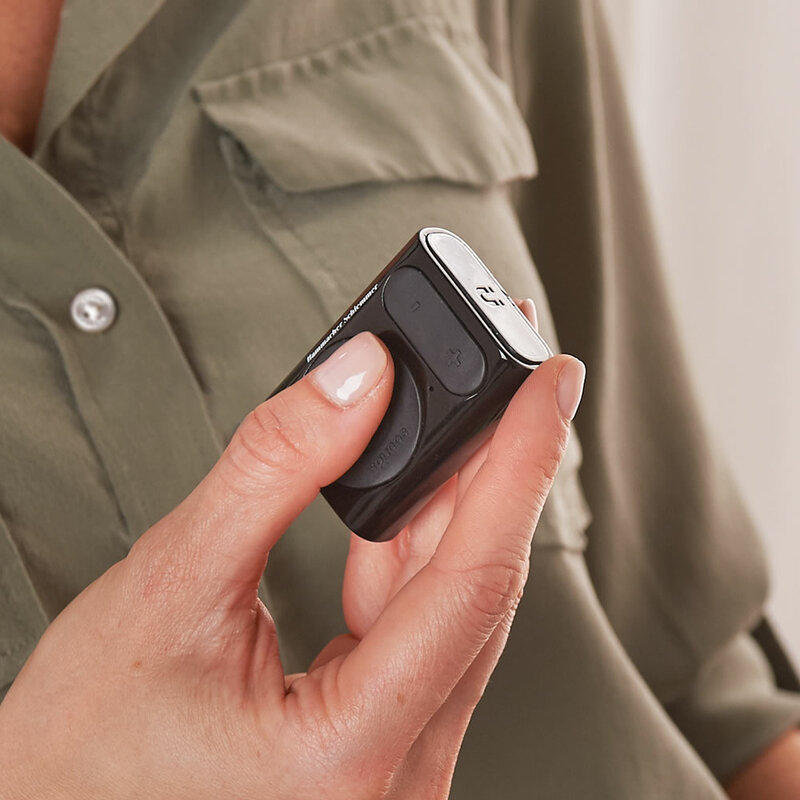 The integrated speakers can be used to stream your preferred music via Bluetooth or play nine pre-loaded sleep sounds including white noise, wind, song birds, and ocean waves. The mask blocks out ambient light and has contoured cut-outs around the eyes that enable blinking. It has plush padding around the ears and eyes, a polyester lining, cushioned exterior, and secures with an elastic band. Includes remote control. Charges via USB. 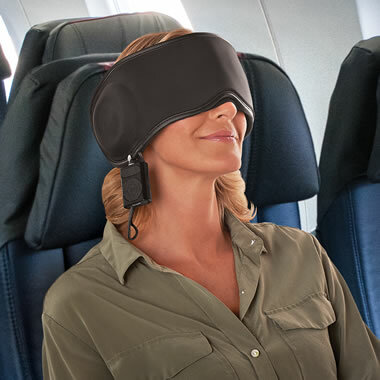 17 1/2" L x 4 1/2" W.
The Distraction Cancelling Bluetooth Sleep Mask comes with The Hammacher Schlemmer Lifetime Guarantee. Items that we sell are guaranteed for their normal life under standard non-commercial use.